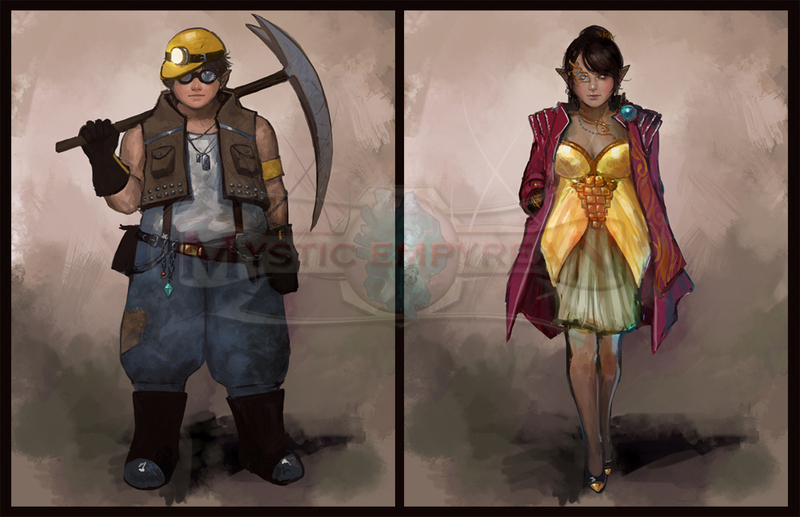 I'm currently working on an RPG project with Brad at Lvl99Games called Mystic Empyrean (http://mysticempyrean.com). These are commissions I just recently finished on the Nitari, the inhabitants of the great, layered cosmopolitan city of Nitar. See Devin Night's mapping of the city for more information. Anyways, these petite little beings are quite interesting and enjoyable to draw. The left is a mineworker, and the right a noblewoman. More of these to come.